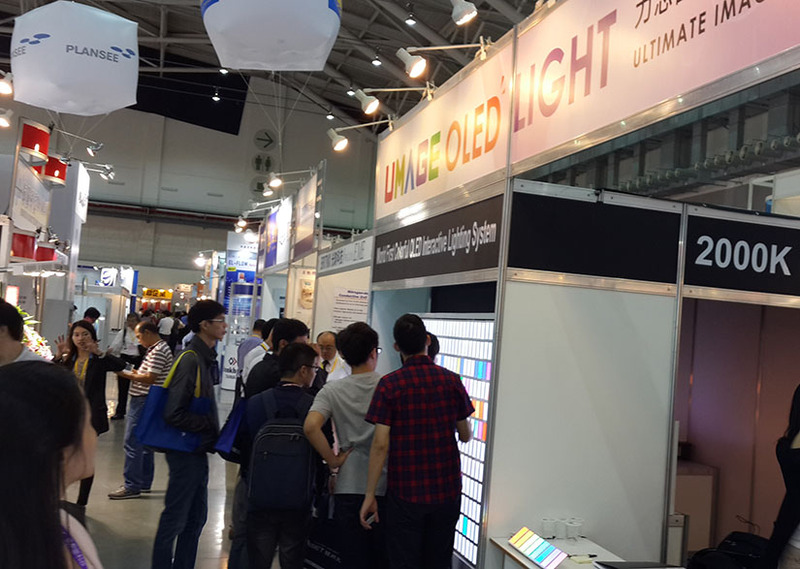 UMAGE attended the 10th International LED Lighting Exposition in Taiwan. The first organic light-emitting diode (OLED) lighting company in Taiwan, UMAGE, lunched the first OLED lighting product at Jun. 2014. OLED light is the next-generation light source, character of healthy, green, and free-form. UMAGE engages the development of OLED lighting module and control system for decorative light and commercial applications. UMAGE OLED lights are initially certificated by clients and shipped to Europe, China, and Taiwan. 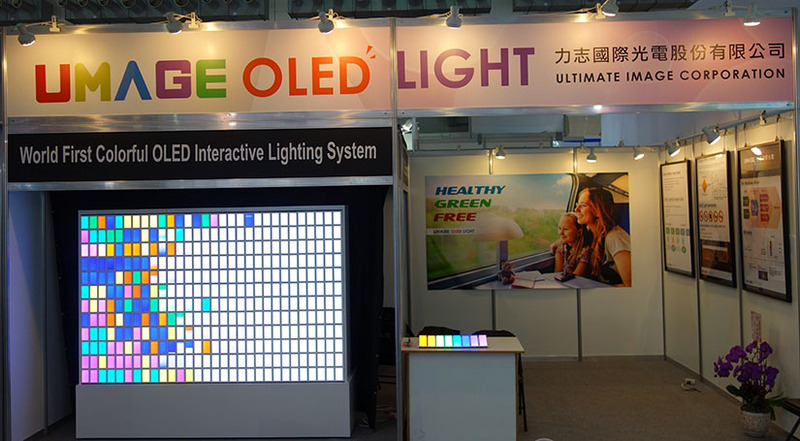 We display the world first interactive colorful OLED lighting in the 10th International LED Lighting Exposition in Taiwan. The color of OLED lighting panel will change with infrared sensors by detecting the motion of visitors. The pretty colors and comfortable light of OLED lighting earn lots of attention in the exhibition. This interactive colorful OLED lighting can be customized for commercial applications. UMAGE will also launch the desk OLED light in 2015.